Our baby safety adjustable locks can adjust from 3 to 7". They fit any size appliance and furniture. Flexible strap does NOT use tools or screws. 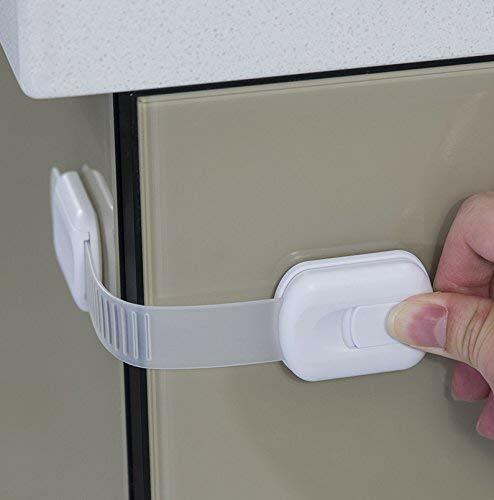 Wittle Child Safety Sliding Cabinet Lock - 6 Pk, White. Baby Proof Cabinet Knobs - Handles - Drawers. No Tools, Drilling, Magnets, or Adhesive. 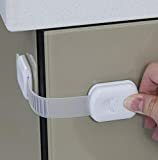 Multipurpose & Reusable U Shape Easy Slide Latch Locks.